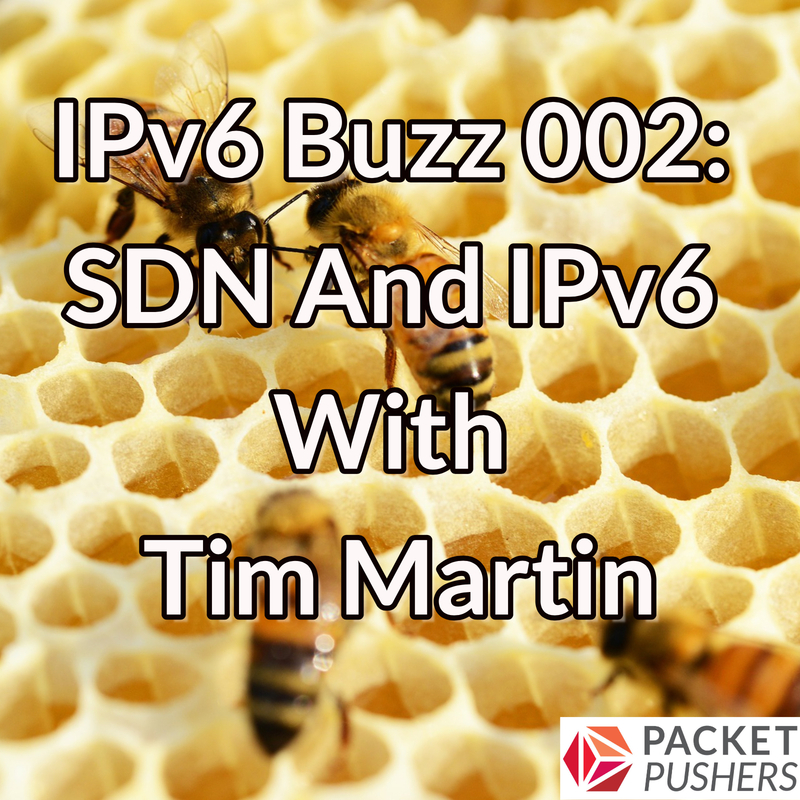 In our IPv6 Buzz podcast, Tim Martins talk about SDN and IPv6. In the second IPv6 Buzz podcast Ed Horley, Tom Coffeen, and Scott Hogg talk about IPv6 with Tim Martin (CCIE #2020), a Cisco and IPv6 veteran. Tim weighs in on what’s happening with IPv6 at Cisco as well as his focus on IPv6 training, his 8 hour (!) IPv6 deep-dive session at Cisco Live US, and how SDN is likely to change how we think about the role IPv6 plays in the enterprise network. Thanks again for helping us make the podcast happen! This entry was posted on Friday, June 15th, 2018 at 5:52 pm	and is filed under Podcasts. You can follow any responses to this entry through the RSS 2.0 feed. Both comments and pings are currently closed.